From January till December, enschede has a lot of exciting events for everybody. Summertime events like free concerts and fleamarkets, Skating and a Circusfestival in the Winter, various art exhibits and festival throuot the year, indoor and outdoor music in every gernre and some international known sportevents. 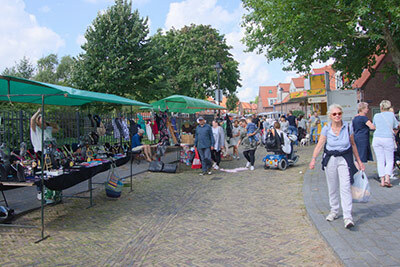 Many districs organise a fleamarket during summer.